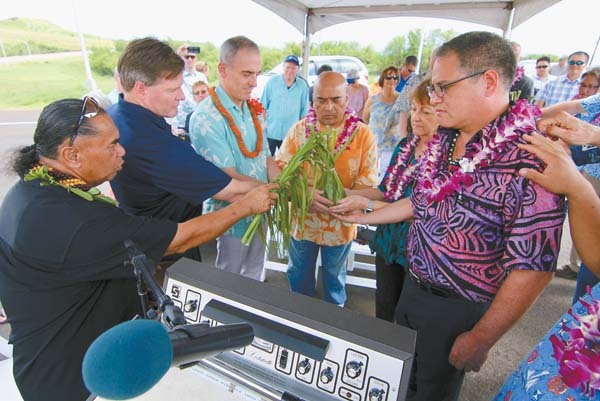 LAHAINA — The southern terminus of the Lahaina bypass was blessed Sunday, and while the controversial project prompted one Maui lawmaker to skip the ceremony in protest, others expressed relief that the latest section of the bypass had finally been built. The 2.6-mile, $38.7 million phase opens April 23 and will funnel Lahaina-bound traffic onto the bypass at “cut mountain” near Olowalu, eventually connecting to the current bypass section at Hokiokio Place. Drivers headed south toward Maalaea will have to temporarily turn up Kai Hele Ku Street and turn right to access the new bypass phase. The state Department of Transportation has said the new southern connector road from the highway to the bypass will likely open three weeks after the new bypass phase. During that time, the department will contraflow southbound traffic on Honoapiilani Highway starting at Kai Hele Ku, department spokeswoman Shelly Kunishige said. The intersection of Kai Hele Ku Street and the southern terminus of the bypass is pictured. 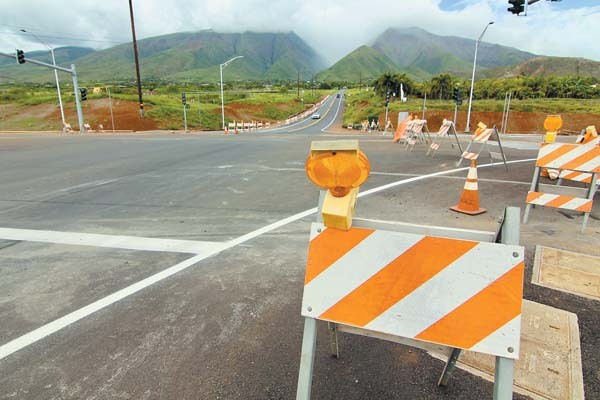 Traffic headed toward Lahaina will be funneled onto the bypass at “cut mountain” near Olowalu, while southbound traffic will temporarily have to turn right onto Kai Hele Ku Street to get to the bypass, while the southern connector road from the bypass to Honoapiilani Highway is completed. The state Department of Transportation has said the closure of the highway is temporary while the connector road is being completed. The southern terminus is set to open April 23. Butay’s comments were in response to West Maui state Rep. Angus McKelvey, who announced Friday that he would not attend the blessing. McKelvey has been a vocal critic of the department’s work on the bypass and at Keawe Street, where the bypass currently ends. The lawmaker said he has reached out to Gov. David Ige and the department to come up with a better alternative to the bypass’s current design. He said the department “continues to move ahead full speed in spite of concerns.” While the department has held meetings within the community, residents have said their concerns have not been addressed or adopted. 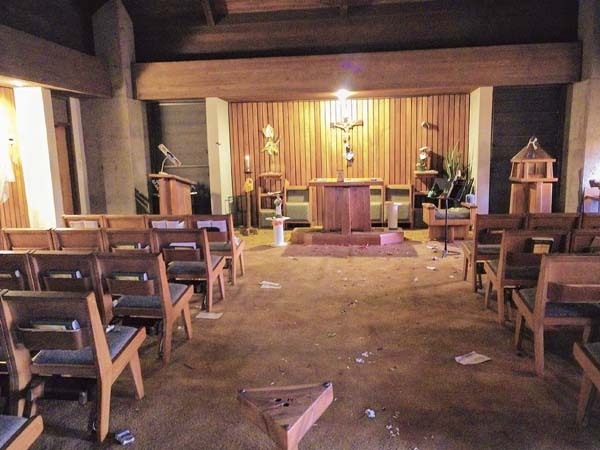 Ige, who was on Kauai following major rains and flooding, did not attend the blessing Sunday. The governor defended the department’s actions in an interview with The Maui News earlier this month, saying that the department has worked on plans for the bypass for a long time and has based its decisions on traffic data. Butay said Sunday that the department will monitor traffic counts before and after the opening of the southern terminus and can make adjustments to traffic signal timing at the connector roads if necessary. He added that there is enough room and drainage structures to expand the bypass from two to four lanes in the future. Shoreline access, however, has been a concern among community members who are worried about access to Honoapiilani Highway being cut off. West Maui state Sen. Roz Baker, however, believed there would still be ample access between the bypass and the highway, pointing to the access points at Kai Hele Ku Street, Hokiokio Place, Lahainaluna Road and Keawe Street. She said she still planned to drive the lower highway on her way to the airport. “I’m hoping that because this is not the height of visitor season that . . . once people kind of get used to it, it’s going to be less congestion and upset than people are preparing for,” Baker said. 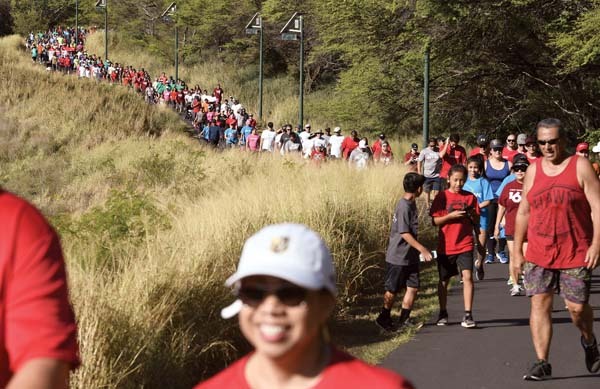 She and state Sen. Gil Keith-Agaran said they know the northern terminus from Keawe Street to Kaanapali is a community priority that lawmakers hope to get funded soon. Baker said earlier this month that the Senate budget includes $8 million in revenue bonds and $40 million in federal funds that could pay for the Kaanapali phase. State Sen. Kalani English, who represents East Maui, Molokai and Lanai, said that “the whole idea of a highway along the coast is obsolete,” and that transitioning to the bypass is crucial as sea level rise continues to impact Honoapiilani Highway. English, the former chairman of the Senate Committee on Transportation & International Affairs, added that the state had to take advantage when federal funding became available because the state wouldn’t be able to pay for the bypass on its own. Bob Pure, former president of Lahaina Bypass Now, said he was “confident” the new section of the bypass would run smoothly once people got used to it. He said while there still may be changes people want to see, any major adjustments could mean more funding and more years of planning.